The Isle of May has a long human history. St. Ethernan lived here in the 9th century and the island has been home to a wide variety of people ever since, from monks seeking isolation to smugglers seeking to hide their loot! Alongside the dry historical facts, the island has accumulated its fair share of grisly tales and spooky stories. Legend has it that St. Ethernan was murdered by Viking raiders, and that Alexander Cunningham, the builder of the beacon, was drowned in a supernatural storm called up by witches from Crail. Visitors to the Lowlight claim to have heard the footsteps of a ghostly lighthouse keeper on Macleod’s path, and several of the residents of Fluke street are afraid to go into the engine room alone at night. There is one ghostly resident of the May that isn’t the stuff of nightmares. 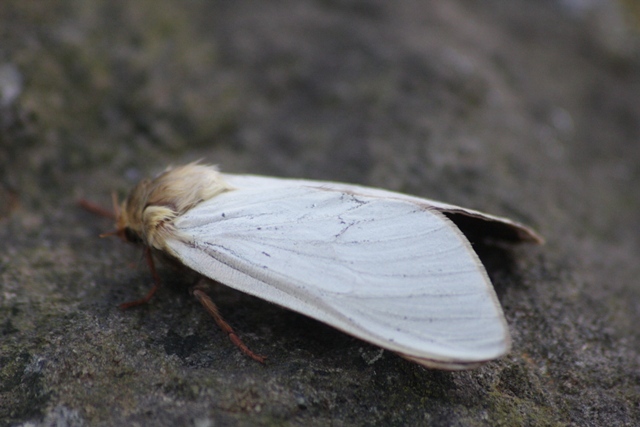 Yesterday, in the moth trap, we caught this ethereal-looking male ghost moth. 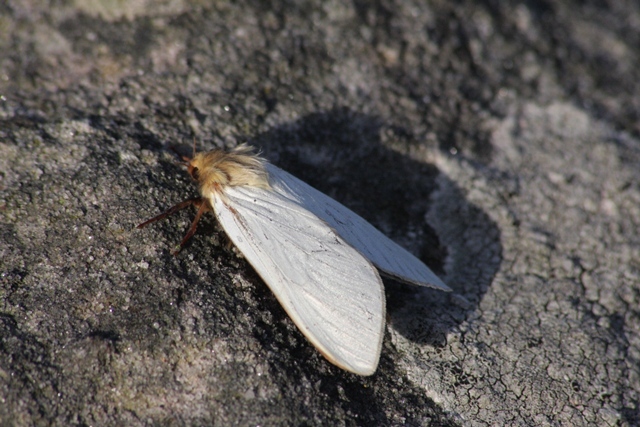 Ghost moths may not be that ghoulish, but they do have some pretty spooky behaviour. At dusk males form large groups, called ‘leks’, where they display for females by performing a pendulum-like swaying flight in the air. These strange courtship flights help females choose a mate, although how they decide remains mysterious.